Dental benefits offered under WELS VEBA are provided by Delta Dental. The Delta Dental plan will offer one benefit plan design for all members, allowing benefits and coverage to be consistent across the U.S. regardless of where workers are called to serve. With Delta Dental plan coverage you can visit any dentist you wish. However, your benefits and discounts will be greatest if you access care from a Delta Dental PPO dentist, resulting in the lowest out-of-pocket costs for you. Delta Dental Premier dentists also offer reduced fees for services, but the discounts are not as deep as the Delta Dental PPO dentists. Out-of-Network dentists do not have discount or maximum fee arrangements with Delta Dental, so your costs for services will generally be highest at Out-of-Network dentists. The Delta Dental plan includes a lifetime maximum benefit of $1,500 for orthodontic treatment for dependents to age 19. 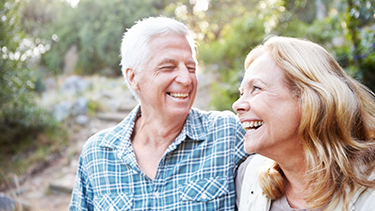 The Delta Dental plan includes enhanced benefits for members with certain medical conditions. Members must apply on Delta Dental’s website at deltadentalwi.com to be eligible for these enhanced benefits. Benefits for Dental Care Obtained Outside the U.S. The Delta Dental plan includes coverage for eligible dental services obtained outside the United States. A member must pay for the dental services up-front and file a claim to Delta Dental for reimbursement.